Dr. Vaillancourt's current research program focusses on pre-hospital care, specifically improving care and survival for cardiac arrest and trauma victims. In cardiac arrest research, Dr. Vaillancourt's contributions include the publication of the first national statistics on cardiac arrest and EMS services in Canada, the completion of a national survey on cardiac arrest surveillance, and participation in the last three updates of the guidelines for the International Liaison Committee on Resuscitation for emergency cardiovascular care. He promotes bystander CPR, improvement of dispatch-assisted CPR instructions for out-of-hospital events as well as CPR quality and timeliness in-hospital. Dr. Vaillancourt is the lead investigator in the pre-hospital evaluation of a clinical decision rule assessing the need for spinal immobilization in low-risk trauma patients. The rule is called the Canadian C-spine Rule, was developed at the OHRI for use by emergency physicians, then triage nurses and finally paramedics. Dr. Vaillancourt has been the lead investigator for the prehospital validation as well as the single centre implementation study. Dr. Vaillancourt obtained his MD from the University of Montreal in 1994, completed his Royal College training in Emergency Medicine at McGill in 1999, and completed a Masters degree in Epidemiology at the University of Ottawa in 2003. He currently holds the position of Associate Professor with the Department of Emergency Medicine, University of Ottawa, and of Senior Scientist at the Ottawa Hospital Research Institute. He is cross-appointed with the Department of Epidemiology and Community Medicine, and is a member of the Faculty of Graduate and Postdoctoral Studies. He was awarded a Research Chair in Emergency Cardiac Resuscitation by the University of Ottawa, and is an Associate Medical Director for the Regional Paramedic Program for Eastern Ontario. He has received many honours highlighting a pursuit of excellence in advancing his own knowledge, mentoring others, and caring for patients. 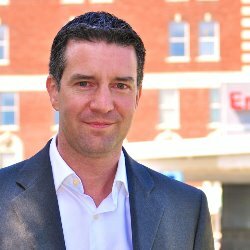 Most recently, he was given recognition by the Canadian Association of Emergency Physicians (CAEP) for his leadership, commitment, and dedication to his discipline. Dr. Vaillancourt has been a peer reviewer for journal and grant submissions as well as a participant on various local, national and international committees to advocate cardiac care improvement. Currently, he is involved in the review of dispatch CPR instructions for the 2015 International Liaison Committee on Resuscitation guidelines. He sits on the CAEP Research Committee, and the Ottawa Hospital Cardiopulmonary Resuscitation Committee, among others. Students have repeatedly received awards for research done under his guidance. He has received research funding from the Canadian Institutes for Health Research (CIHR), the Heart and Stroke Foundation of Canada (HSFC), and the U.S. National Institutes of Health (NIH). He has authored many papers published in Resuscitation, the highest impact journal of his specialty, and co-authored papers published in very high impact journals such as the NEJM, JAMA, CMAJ, and Circulation. Vaillancourt C., Stiell I.G., Wells G.A. : Understanding and Improving Low Bystander CPR Rates: A Systematic Review of the Literature. CJEM, 2008;10(1):51-65. Vaillancourt C., Epstein N., Cheskes S., Maloney J., Stiell I.G., Christenson J., Affleck A., Travers A.H., Osmond M.H., Forgie P., Slenys J.: CAEP Position Statement on Bystander Cardiopulmonary Resuscitation. CJEM, 2011;13(5):339-346. Vaillancourt C., Emerson-Steward S., Christenson J., Andrusiek D., Powell J., Nichol G., Cheskes S., Aufderheide T.P., Berg R., Stiell I.G., and the Resuscitation Outcomes Consortium Investigators. : The Impact of Increased Chest Compression Fraction on Return of Spontaneous Circulation for Out-of-Hospital Cardiac Arrest Patients not in Ventricular Fibrillation. Resuscitation, 2011;82(12):1501-1507. Stiell I.G., Nichol G., Leroux B.G., Rea T.D., Ornato J.P., Powell J., Christenson J., Callaway C.W., Kudenchuk P.J., Aufderheide T.P., Idris A.H., Daya M., Wang H.E., Morrison L.J., Davis D., Andrusiek D., Stephens S., Cheskes S., Schmicker R.H., Fowled R., Vaillancourt C., Hostler D., Zive D., Pirralle R.G., Vilke G., Sopko G., Weisfeldt M., and the Resuscitation Outcomes Comsortium (ROC) Investigators. : Resuscitation Outcomes Consortium ROC PRIMED Trial of Early Rhythm Analysis versus Later Analysis in Out-of-Hospital Cardiac Arrest. NEJM, 2011;365(9):787-797.